Bloxham PR is a fully integrated communications agency working with some of the most powerful brands within fashion and luxury lifestyle sectors. On a sunny Autumnal day, we met Cotswolds-based designer Jade Holland Cooper at esteemed racehorse trainer Jonjo O’Niell’s yard to shoot something exciting for The Sunday Telegraph. Ahead of the acclaimed November Meeting at Cheltenham Racecourse, 16th-18th November, Jade showed us how to style the perfect race-day outfit. Thinking of the silhouette your outfit creates, whilst also dressing for the weather is a must for a day at the races, says the founder of British lifestyle brand Holland Cooper. Photographed at distinguished racehorse trainer Jonjo O’Neill’s yard Jackdaws Castle, Temple Guiting, Gloucestershire. THE BRIEF: To celebrate the launch of Mistamina’s second collection with an intimate press lunch. THE BRIEF: Fofolino tasked Bloxham PR to launch its premium range of luxury muslin squares into the crowded UK nursery market, seeking to promote strong and sustained sales through established brand awareness. Supporting the wider brand marketing strategy, Bloxham PR’s core focus was to gain blanket coverage across top tier parenting titles and recruit a network of ‘mumfluencer’ advocates, combined with full social media support and blog content cultivation. Fofolino’s modest budget was maximised by Bloxham PR to roll out a robust media relations campaign, targeting top tier parenting press to achieved widespread coverage across shopping pages and parenting essentials round ups, not to mention profiling opportunities for the brand’s founder. The campaign was supported by an aggressive gifting strategy, allowing key product USPs to be showcased via experiential trial of the exceptional Fofolino collection. Creative news hijacking was also executed in line with the arrival of the Duke and Duchess of Cambridge’s third child to sustain momentum at a time when ‘new news’ from the brand was limited. Elevating activity from the ongoing retainer, Bloxham PR also provided event concept creation and management to deliver a media launch event. The event saw Fofolino founder, Eugenie Haniel welcome key editors, journalists and influencers to a cupcake decorating afternoon tea at Primrose Bakery in London’s Covent Garden. 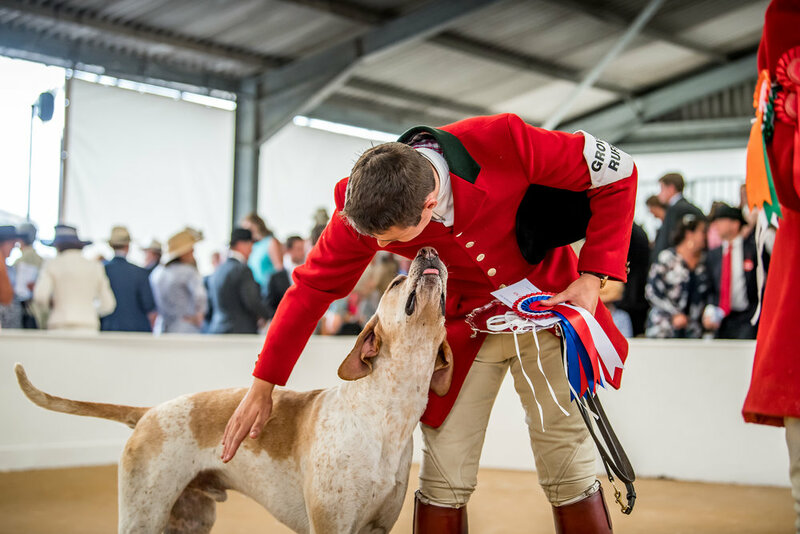 THE BRIEF: Expert event organisers, ADDO Events appointed Bloxham PR to support its flagship project, Lycetts Festival of Hunting, with a brief to stimulate awareness and drive ticket sales, alongside communicating the newly appointed title sponsorship and subsequent rebrand. Celebrating the landmark event of the countryside community calendar, Bloxham PR rolled out a three-phase strategy supporting the event, pre, during and post event. Activity showcased the events offering and fed the news agenda with a steady stream of creative content. Competition placements bolstered activity and allowed added value to be offered to publications where advertising spend was unavailable. The new challenge for 2019 to was to amplify engagement with the event’s many varied and vibrant trade stands. Bloxham PR’s solution was to introduce a well-received Flagship Exhibitor programme, inviting exhibitors to join an elevated promotional package showcasing the offering they bring to Lycetts Festival of Hunting. Full guest list management was handled by the team to maintain and elevate press attendance from previous years, utilising the agencies strong connections and relationship building abilities. A seamlessly efficient on-site press office was provided to host the flurry of press, photographers, influencers and not to mention socialites aplenty in attendance on the day. Photography and videography briefing requirements were also fully taken care of by Bloxham PR to ensure the content cultivation opportunities at the event were maximised, while respecting the stringent photography and filming restrictions in place. THE BRIEF: To celebrate the launch of Mistamina’s debut collection with an intimate press breakfast.